1933– Charles Darrow creates the game Monopoly, with designers Elizabeth Magie, Louis Thun, and Fred Thun. There were a few other board games before Monopoly, like “The Landlord game“, which Monopoly was loosely derived from. 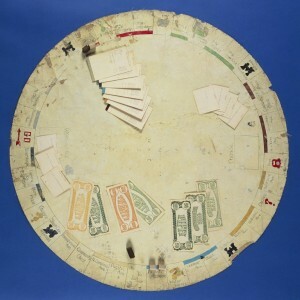 The board is based on Atlantic City and the playing pieces were models from items around Charles Darrow’s’ house. Parker Brothers would pick the game up in 1935 and turn it into a household name.Since then, multiple variations of the board game have been introduced. Everything from Star Wars Monopoly to Bratz Jr Monopoly game. The game has gone through many revisions, and some families have made “unofficial rules” – such as what happens when you land on Free Parking. Intel gives computers, internet to employees for free.